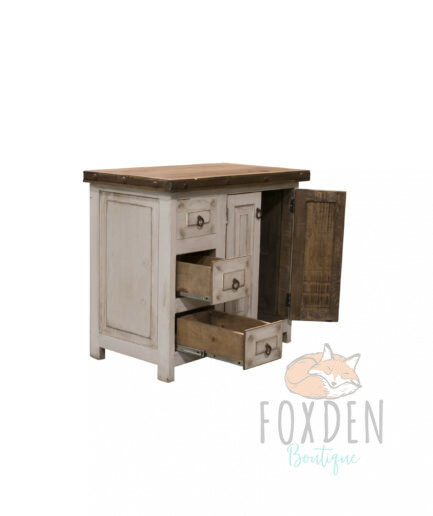 Looking for a lot of drawer space? 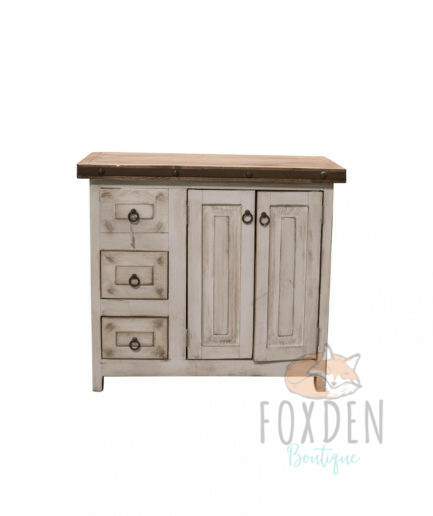 The Blondie rustic vanity is the one for you! 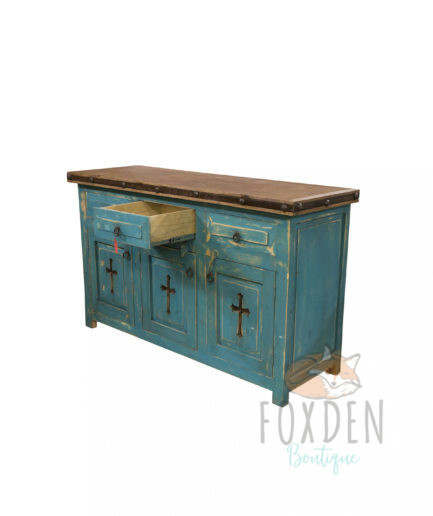 Featuring 6 drawers on full extension metal rails, there is plenty of space for all of your belongings. 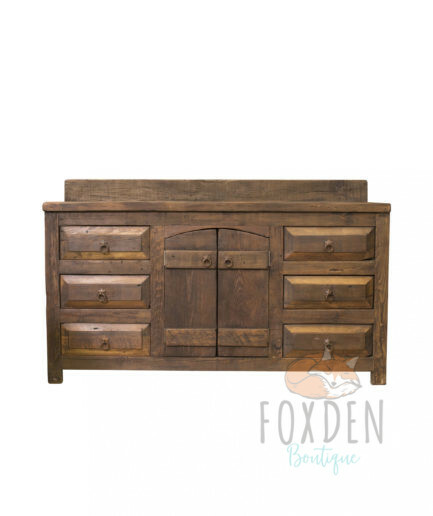 The cabinet space also provide additional space and is adorned with hand forged iron hinges. 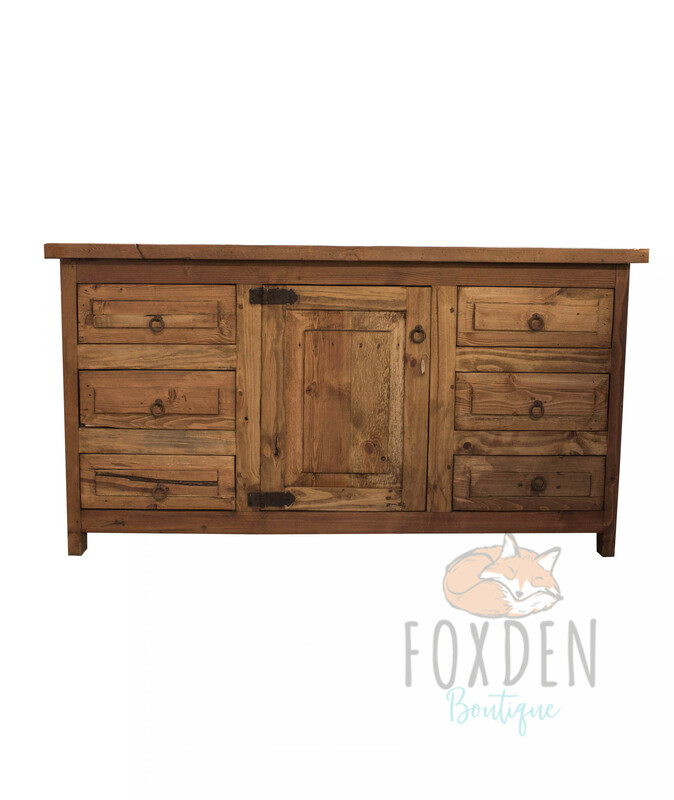 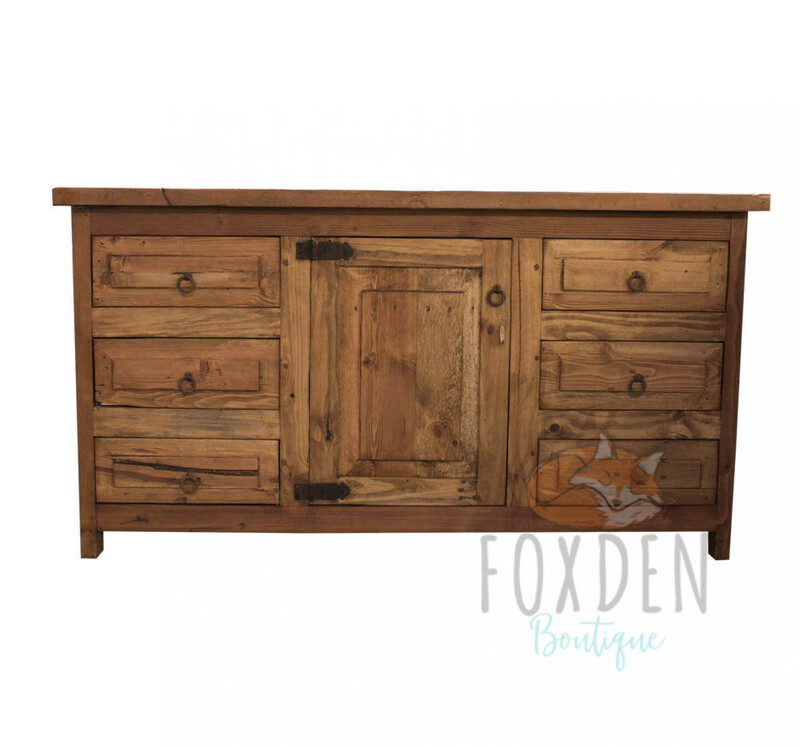 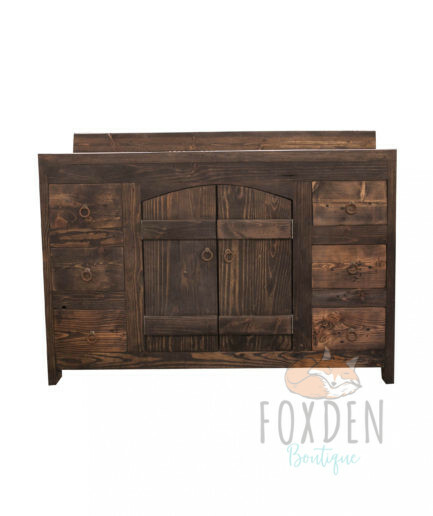 This piece is crafted from solid reclaimed wood and is finished in Americana.